When transforming a nondescript dining room in a 1900’s Victorian Manor, we opted for a design filled with visually stimulating elements. Taking cues from popular tastes at the turn of the 20th century, we introduced Asian motifs in an modern, updated way to capture the fashionable wanderlust of the Victorian era. 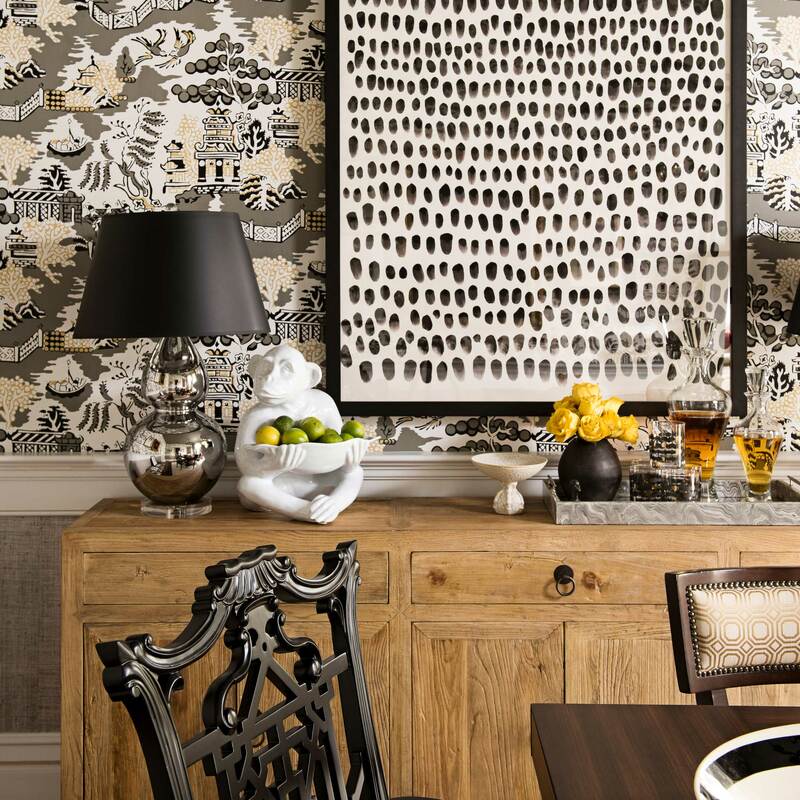 Stylized chinoiserie wall-coverings are paired with genuine grass-cloth to adorn the walls. 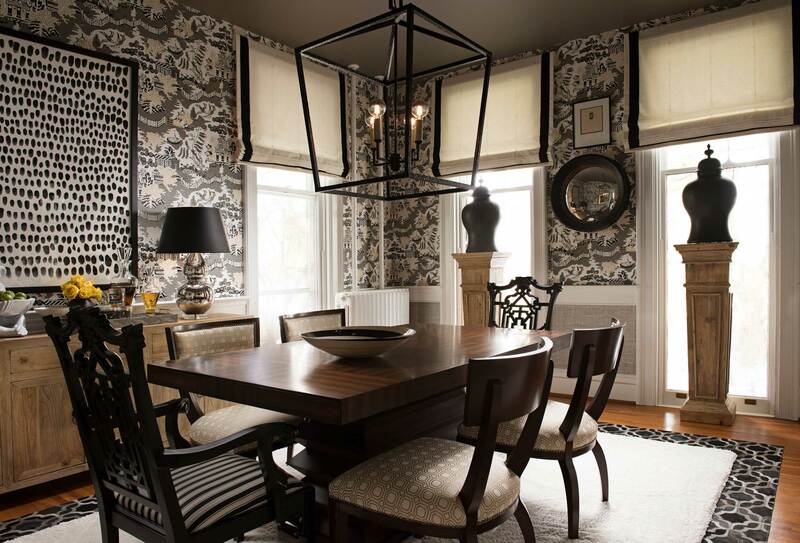 An unexpected mid-century dining table with an oversized lantern makes a bold statement. Contemporary art is juxtaposed with antique oil portraits, creating a curated and established interior.